Paseos en bicicleta gratis de JUMP hasta el 9 de diciembre. 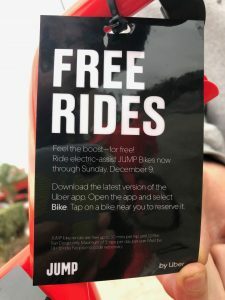 On November 19, 2018, Uber announced the launch of dockless electric bikeshare service JUMP in San Diego. JUMP bikes are electric and provide a boost with every pedal (up to 20 mph), making it easier for riders to get around their city without breaking a sweat. If you've been wanting to see what it feels like to ride an ebike, this is a great opportunity to check them out at no cost. Uber is giving everyone five free trips up to 30 minutes long each day through December 9. Unlock them using the Uber app by tapping the “mode switch” at the top of the Uber homescreen, select a bike, and the app will give you a pin number so you can unlock your bike. The JUMP Bikes app works pretty much the same way. While pricing varies by city, in San Diego at launch, ebikes will cost $1 to unlock and then just 10 cents per minute to ride. JUMP will start with 300 bikes available across a 28 square mile radius, from Pacific Beach all the way downtown to Crim avenue; and from the northmost point at Chalcedony St. to the southmost point at National Ave. In 2017, JUMP bikes launched the first ever dockless electric bike share system in the United States. JUMP’s pedal assist bikes are available in Austin, Chicago, Denver, New York City, Providence, Sacramento, Santa Cruz, San Francisco, Santa Monica, Los Angeles, and Washington, D.C. They also have scooters available in Austin, Santa Monica and LA. In California, JUMP is already bringing multimodal transportation to users across the state. In October, JUMP started expanding its fleet of bikes San Francisco, from 250 to 500 bikes after data showed that over 38,000 unique riders took more than 326,000 total trips during the pilot. Around Sacramento, JUMP recently expanded its service area by more than 50 percent to meet demand of more residents. And last week, it announced that it started deploying 3,000 ebikes and scooters across LA. BikeSD is happy to see expanded options for bikeshare in San Diego. However, the continued shortage of safe, high-quality bike lanes across San Diego remains a substantial hindrance for riders of all kinds of low- and human-powered vehicles. We hope companies like Uber and JUMP will become partners with BikeSD to expand our advocacy and educational efforts. Without significant biking/mid-speed infrastructure improvements in San Diego, the adoption rate and potential of these new transport modes will always be limited. There has been quite a bit of coverage in the local media recently regarding dockless bike-share systems. 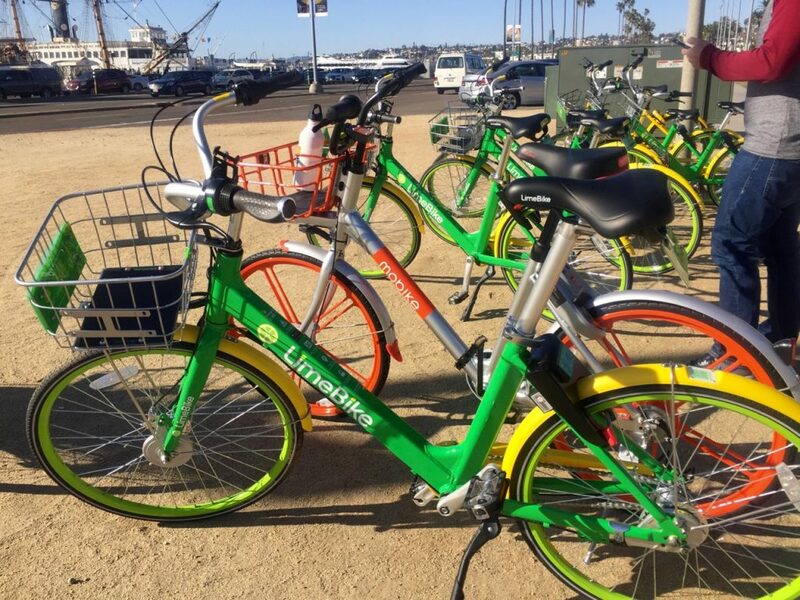 Companies such as LimeBike, Ofo, Spin, and others have shown interest in operating in San Diego and one, LimeBike, is currently operating in Imperial Beach and National City. These new offerings join DecoBike in providing bike-share options to the public in San Diego County. DecoBike operates in the City of San Diego and is a "traditional" bike share system with docks that bikes are checked into and out of. The dockless systems differ in not having the docking stations that are a staple of many bike share programs. This increase in the bike-share options in the region would seem to be a good thing, with more options and more bikes for users as well as competitive forces spurring operators to provide good value and offer incentives, upgrades, etc to stay relevant and win market share. 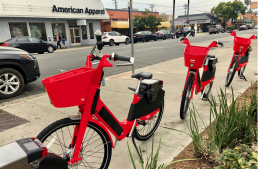 However, in the City of San Diego there is some disagreement about the nature of the relationship the city has with DecoBike and whether other bike-share operators will be welcomed or even allowed in the city. 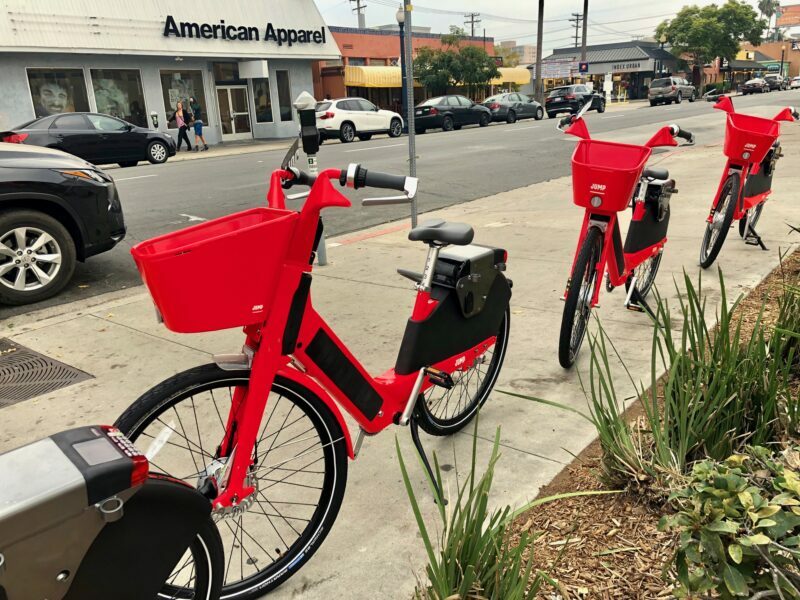 Two good articles to check out about bike share systems and the DecoBike agreement with San Diego cover the issue from a variety of angles. They're well worth a read. Today the DecoBike agreement and impact on future bike share programs may have gotten a bit clearer. Below is a copy of a memo shared today on Twitter by City Councilmember David Alvarez that addresses the question of the exclusivity element of the agreement between San Diego and DecoBike. As this issue is of interest to the BikeSD community we wanted to share it here so that others could access. The memo appears to rebuke the notion that there is an exclusive ability for only one bike share program, DecoBike, to exist in San Diego. The memo specifically mentions the Spin dockless system but would appear to generally support additional bike share operators. We're also including the DecoBike agreement in full at bottom for reference. Bike San Diego greatly appreciates the efforts that the City of San Diego and DecoBike have made in bringing bike-share to San Diego. These systems have become key elements of urban transportation systems in cities across the globe. However, as with many aspects of building a stronger cycling culture in San Diego the most needed ingredient for success is establishing a robust network of safe roads for biking. On that count - the most important and base level necessity - our local and regional efforts continue to be delayed, half-measures, or isolated improvements that start or end without connecting to other good options in a cohesive system. Without a robust network any bike initiative - bike share, increasing bicycle commute mode share, hitting Climate Action Plan targets, improving air quality - will have difficulty in being successful. Check out recent news and upcoming events from San Diego and beyond. Have an article to share for our next News & Views post? 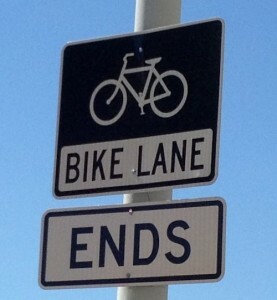 Please email us - talk@bikesd.org. Enjoy! John Lamb from CityBeat considers the possibility of dockless bike share in San Diego. We've looked through DecoBike's corporate partnership agreement with the City of San Diego and don't see anything preventing other bikeshare companies from operating in San Diego. Dockless bike share provider LimeBike has been operational in Imperial Beach since September. LimeBike also launched in National City in November - "National City, which approved the bike-share as a six-month pilot program, is LimeBike’s 30th market in the U.S.". 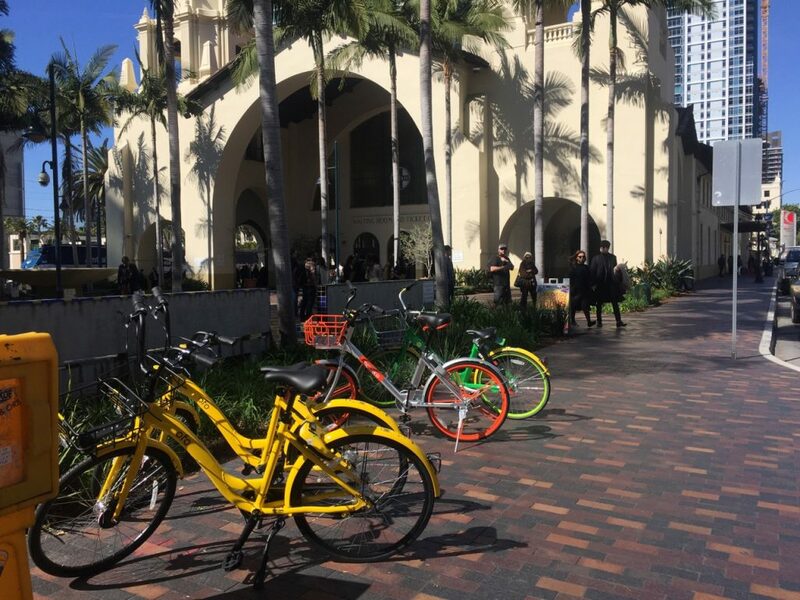 UC San Diego is also considering dockless bikeshare operators for its Bike Share Services RFP. New bike lanes will be coming to University Avenue before year's end, as the City fills the Uptown Bikeway gap created by the Hillcrest Business Association. The first segment of SANDAG's Uptown Bikeways, which were funded in October 2012, have been delayed to 2020. These bike lanes on 4th and 5th Ave are also under attack by the Hillcrest Business Association and Hillcrest members of Uptown Parking District. We wrote in July about other delays to SANDAG's Bikeways. 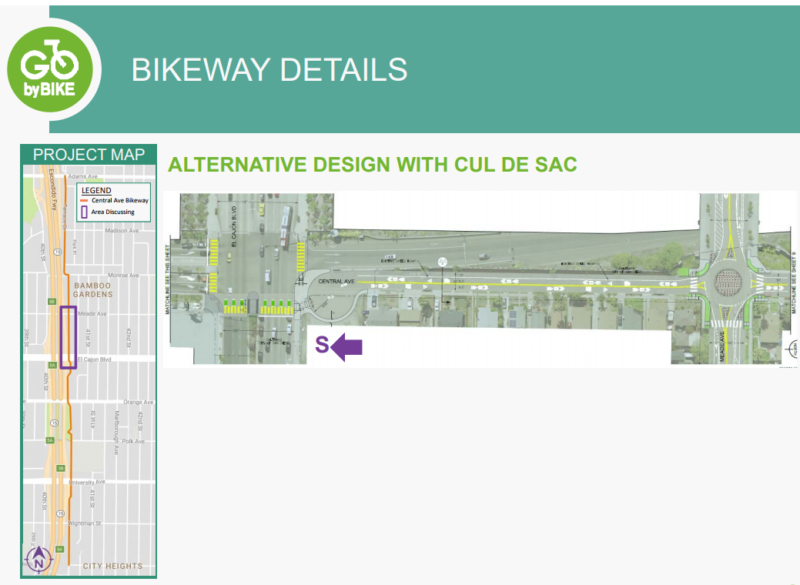 SANDAG presented an update on its Central Ave Bikeway (which will connect to the recently-opened SR-15 Bikeway) to the City Heights and Kensington/Talmadge Community Planning Groups recently. One option would close Central Ave to northbound traffic from El Cajon Boulevard: The SR-15 bikeway connects to a fast, dangerous stretch of Camino Del Rio South, but the City of San Diego plans to add bike lanes there soon. CityBeat writer Ryan Bradford took a spill on his bike but is OK. We wish him the best and look forward to more stories from his bike commute and experiences. Abuse of the California Environmental Quality Act (CEQA) delayed bike lane projects for years in San Francisco and was employed by Uptown Planners Chair Leo Wilson against City of San Diego bike lanes. But California regulators have overhauled CEQA and "hope the new rules will spur more bike lanes and housing near transit":Under the current interpretation of the law, developers have to measure their project’s effects on car congestion — something that often stymies the installation of bike lanes because the removal of car lanes could tie up vehicles.The new effort would force projects to estimate the number of miles cars will travel on nearby roads. Since bike lanes won’t increase vehicle trips, and could reduce them, regulators hope the new rules could ease their development. The new proposal also would apply to residential construction in an effort to make it easier for developers to build pedestrian or bicycle friendly projects if they can show their projects will limit car travel. Los Angeles drivers are killing pedestrians and bicyclists, while overturning road diet projects designed to save pedestrian lives. Ten rules for cities about automated vehicles (AVs) - Urbanist Jeff Speck, author of Walkable City, pens an excellent article about the potential impacts of AVs on cities. He concludes with a great shout out to the most efficient transport on the planet - bicycles. A fantastic read. 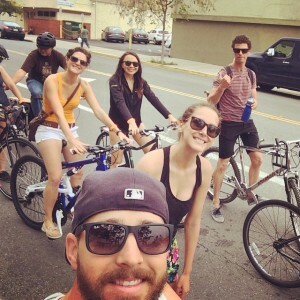 BikeSD Member Meetup in North Park - Your quarterly chance to connect with other BikeSD members, chat with board members, or learn more about the organization if you're not already familiar. Event will be at North Park Beer Company (3038 University Ave, San Diego, CA 92104) on Tuesday, December 5, with doors opening at 6 PM, a short program at 7, and concluding at 9. This will be an opportunity to thank former Executive Director Sam Ollinger for her great work with the organization and meet Interim ED John Anderson. Please RSVP here and spread the word! 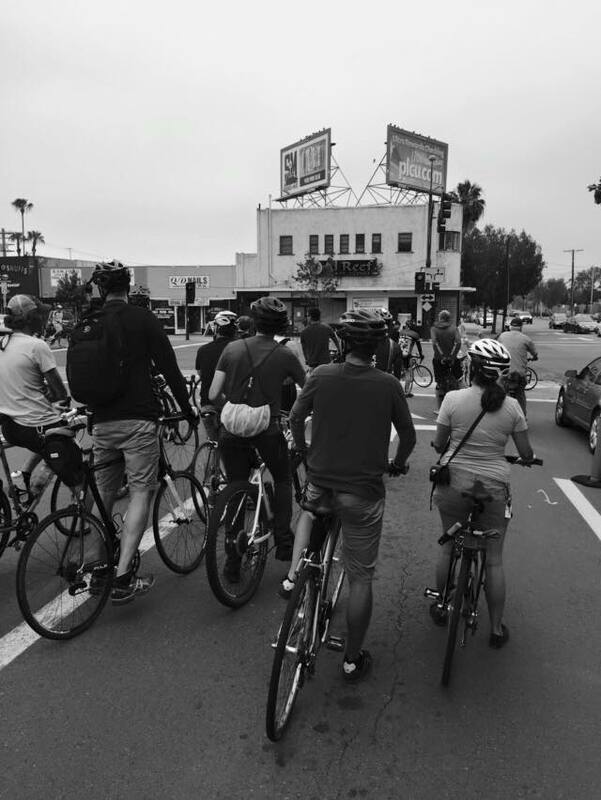 BikeSD Member Meetup in Pacific Beach - In 2018 we want to do a better job of connecting with the bike community across our fair city. We'll start with our quarterly Member Meetup being held in Pacific Beach. Mark your calendars for March Tuesday, March 6, from 7 - 9 PM and stay tuned for details. El Frontera a Bayshore en bicicleta project will connect Tijuana to San Diego Bay. Next community meeting will be Wednesday, December 6, 2017 from 6-8 PM at Imperial Beach Library (810 Imperial Beach Boulevard, Imperial Beach, CA 91932). RSVP via Facebook here or get more project information on the SANDAG project website.